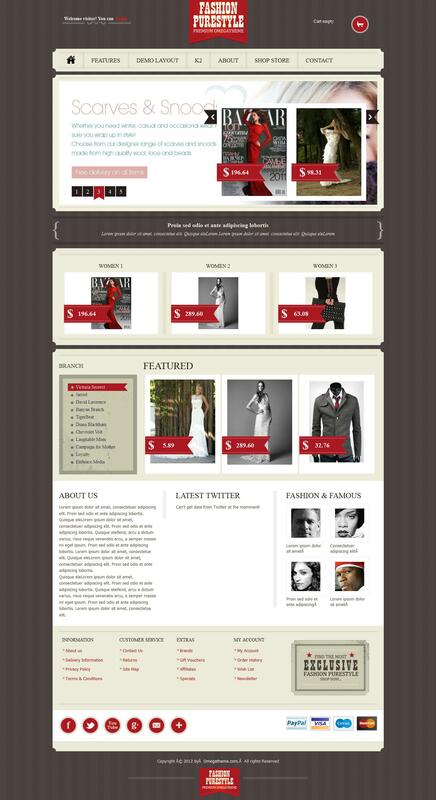 OT PureStyle - next qualitative pattern internet - shop from the team OmegaTheme. This template contains a classic and clean design that is ideal for creating websites for the sale of clothing and various accessories. Availability corporate rotator products on the home page will provide a comfortable and optimal display required or most popular products. PureStyle fully compatible with mobile devices and also supports component catalogs K2 and Virtuemart v2.0.